The next Brickvention will be held on the weekend of January 18 and 19 2020 at the Royal Exhibition Building Nicholson Street Carlton Victoria. 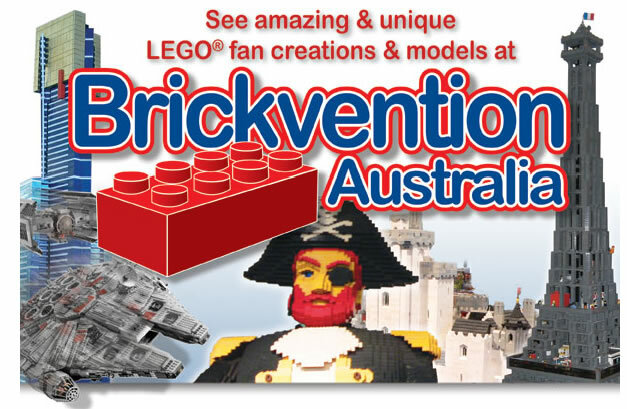 Brickvention is a two-day event that brings together LEGO fans of all ages from all over Australia to view original and unusual creations built by Australian modelers and collectors. So if you love LEGO come along and view the amazing creations and models made out of LEGO. Anyone can come along and view the amazing creations made out of LEGO. LEGO fans of all ages are welcome on the Saturday 9am to 5:30pm and Sunday from 9am to 4pm. Please note: tickets are NOT available at the door (sold online only) Link Below.